a. Won't the pipes freeze? b. Won't the plants freeze? c. Won't I freeze when I get home from work? Well moral of my story is that the heat/oil bill was astronomically high, like really really high. Like rent payment high. So please, learn from my HUGE mistake and turn your heat or air conditioning OFF when you leave the house or apartment for the day. SO I washed it with soap and alas it didn't get the gunk off. SO I proceeded to let the pan soak with dish washing detergent....AGAIN...NO MOLLY! So I left the house, came back to find my pan splotched with soap stains and rusted beyond repair. So then...I googled solutions that didn't work...then I called the one woman who knows everything- my grandma, Mema. She told me to rub it with vegetable oil. So I proceeded to rub oil all over the pan with great force and aggression because I was so ashamed of my mistake. BTW this was not my pan...borrowed from my cousin. 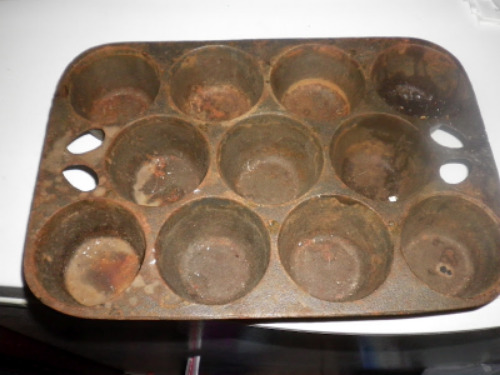 The pan was miraculously restored to it's original state. Gotta love grandmas. This is one of the many mistakes that I will only make once. 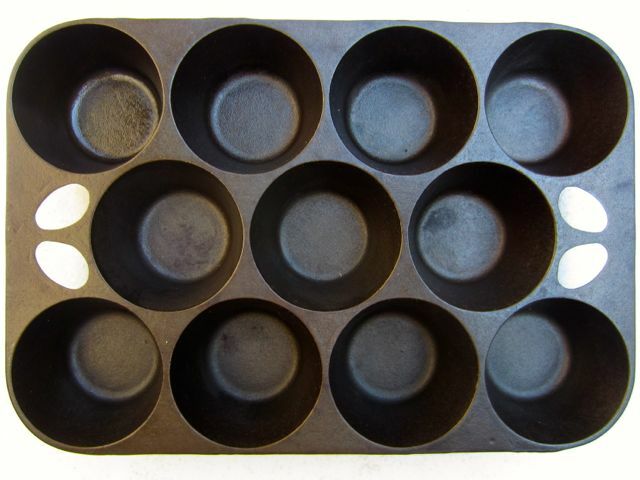 Hopefully you will never have to make it and I have heroically saved you from your future mistakes with cast iron bake-ware.